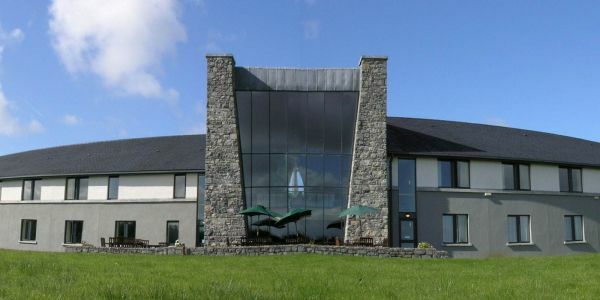 Knock House Hotel, is a 3-star 68 bedroom, architecturally-designed Hotel located in the tranquil village of Knock. 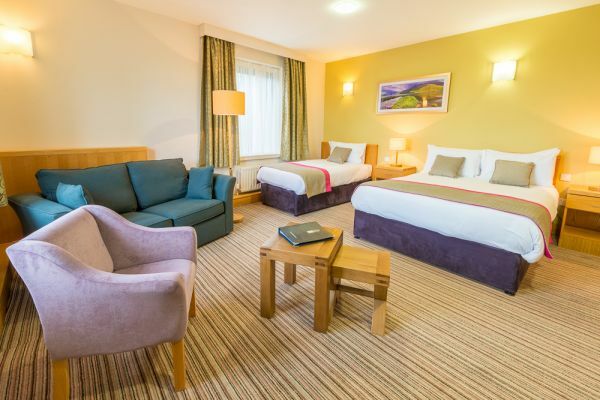 The Hotel nestles in over 100 acres of picturesque grounds and is an integral part of Knock Shrine. Patrons can experience its uniquely friendly, comfortable and stylish surroundings, with superb welcoming staff and excellent cuisine. The well-established Four Seasons Restaurant, overlooks a beautiful garden and captures the magnificent spire of the refurbished Basilica. The Hotels very talented Chef's create 'mouth watering' dishes in abundance and you will experience warm, friendly Irish service at its best where the 'Céad Mile Fáilte' really does exist. Knock House Hotel is open all year round and is the ideal venue for Christmas and New Year celebrations. 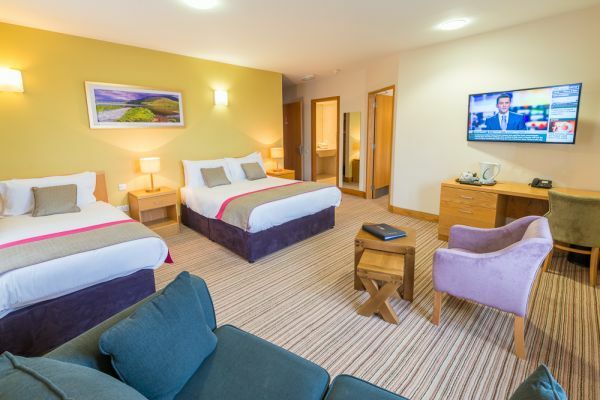 Located adjacent to the N17 and N5, just 20 minutes from Ireland West Airport Knock and 10 minutes from Claremorris Train Station. 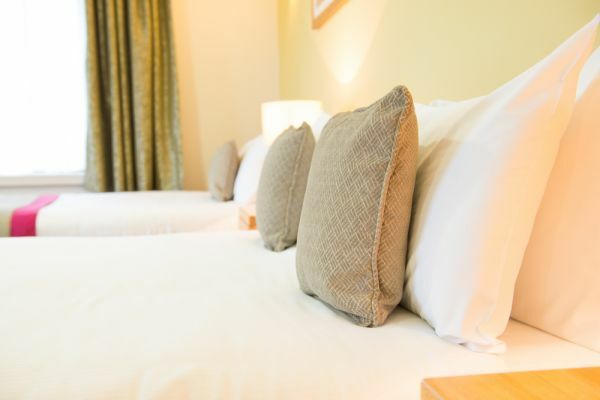 The Hotel provides a pick-up & drop off service from Knock bus stops, and to and from Claremorris train station on a pre-booked basis. This Mayo Hotel is the perfect base to explore the magnificent scenery of the West of Ireland, follow the Wild Atlantic Way, or discover your own route. Westport, Galway and Sligo are all within an hour’s drive of the hotel. Visit attractions such as The Museum of Country Life, Ballintubber Abbey, Foxford Woollen Mills, Croagh Patrick, Céide Fields and many more. 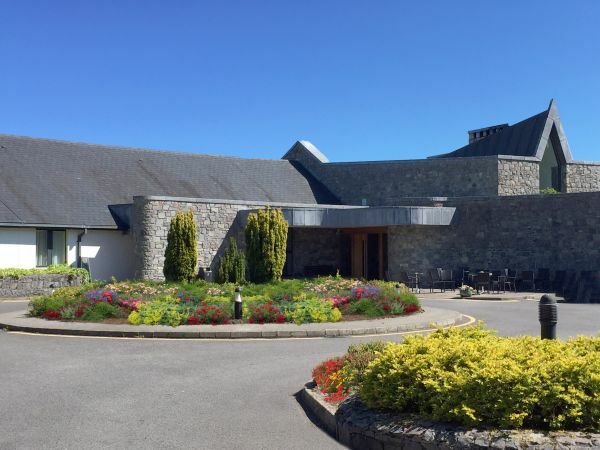 The staff at Knock House Hotel take great pride in their Hotel and over the past 20 years, have earned it a second-to-none reputation for excellent food, but just as importantly, the consistently friendly service that brings its many guests back time and time again. 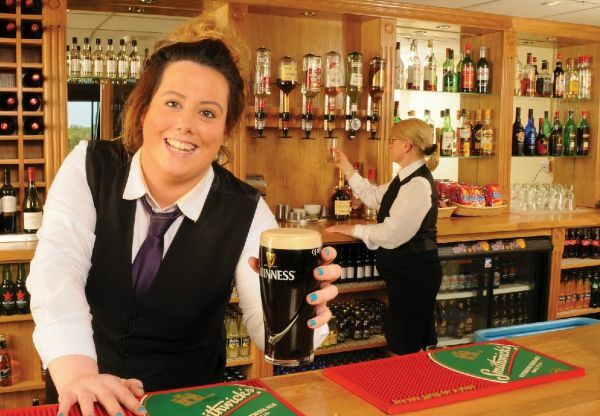 You can always be assured of a warm welcome at Knock House Hotel. Enjoy Two Nights Bed & Full Irish Breakfast, with a superb Four Course Dinner in The Four Seasons Restaurant each evening. Rooms with a view of the Shrine now available, subject to availability. Treat yourself to a Superb, 4 Course Evening Meal in The Four Seasons Restaurant each night, Two Nights Accommodation in one of our 68 3*Bedrooms with Full Irish Breakfast each morning. Visit Knock Shrine Basilica, Museum and the many other facilities available to all our Guests to ensure your stay is complete. Treat yourself to a Superb, 4 Course Evening Meal in The Four Seasons Restaurant each night, 3 nights’ accommodation in one of our 68 3*Bedrooms, with Full Irish Breakfast each morning, for €261pp. Visit Knock Shrine Basilica, Museum and the many other facilities available to all our Guests to ensure your stay is complete. Enjoy Four Nights Bed & Full Irish Breakfast, with a superb Four Course Dinner in The Four Seasons Restaurant each evening. Treat yourself to a Superb, 4 Course Evening Meal in The Four Seasons Restaurant each night, 4 nights’ accommodation in one of our 68 3*Bedrooms, with Full Irish Breakfast each morning, for €328pp. Visit Knock Shrine Basilica, Museum and the many other facilities available to all our Guests to ensure your stay is complete. Treat yourself to a Superb, 4 Course Evening Meal in The Four Seasons Restaurant each night, 2 nights’ accommodation in one of our 68 3*Bedrooms, with Full Irish Breakfast each morning, for €200pp. Visit Knock Shrine Basilica, Museum and the many other facilities available to all our Guests to ensure your stay is complete. Treat yourself to a Superb, 4 Course Evening Meal in The Four Seasons Restaurant each night, 3 nights’ accommodation in one of our 68 3*Bedrooms, with Full Irish Breakfast each morning, for €285pp. Visit Knock Shrine Basilica, Museum and the many other facilities available to all our Guests to ensure your stay is complete. Treat yourself to a Superb, 4 Course Evening Meal in The Four Seasons Restaurant each night, 4 nights’ accommodation in one of our 68 3*Bedrooms, with Full Irish Breakfast each morning, for €368pp. Visit Knock Shrine Basilica, Museum and the many other facilities available to all our Guests to ensure your stay is complete. Tel: (0904) 938 8088 for bookings/enquiries. Treat yourself to a Superb, 4 Course Evening Meal in The Four Seasons Restaurant,1 Nights Accommodation in one of our 68 3*Bedrooms, with Full Irish Breakfast, for €130pp. Visit Knock Shrine Basilica, Museum and the many other facilities available to all our Guests to ensure your stay is complete. Treat yourself to a Superb, 4 Course Evening Meal in The Four Seasons Restaurant, 2 nights accommodation in one of our 68 3*Bedrooms, with Full Irish Breakfast, all for €204pp. Visit Knock Shrine Basilica, Museum and the many other facilities available to all our Guests to ensure your stay is complete. Treat yourself to a Superb, 4 Course Evening Meal in The Four Seasons Restaurant each night, 3 nights’ accommodation in one of our 68 3*Bedrooms, with Full Irish Breakfast each morning, for €276pp. Visit Knock Shrine Basilica, Museum and the many other facilities available to all our Guests to ensure your stay is complete. 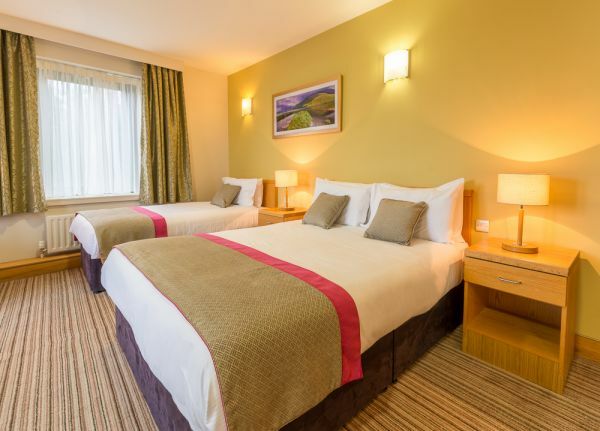 Enjoy 4 Nights Bed & Full Irish Breakfast,with Four superb Four Course Dinners, in this Tranquil Hotel, located in the picturesque village of Knock for €344pp. 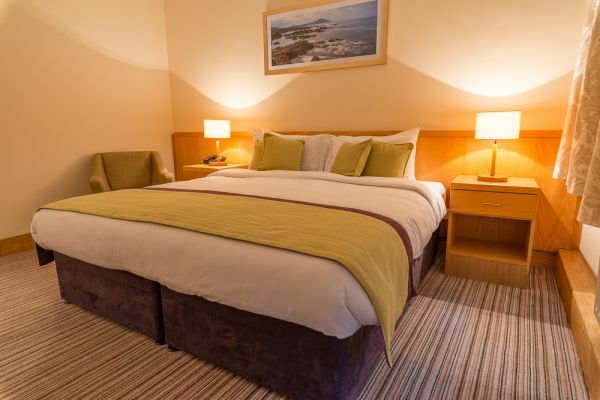 Westport, Galway and Sligo are all within an hour’s drive of the hotel. Visit attractions such as The Museum of Country Life, Ballintubber Abbey, Yeats Experience, Foxford Woollen Mills, Croagh Patrick, Kylemore Abbey, Fr Peyton Centre, Céide Fields and many more.